Area: 447,400 sq. km., slightly larger than California. 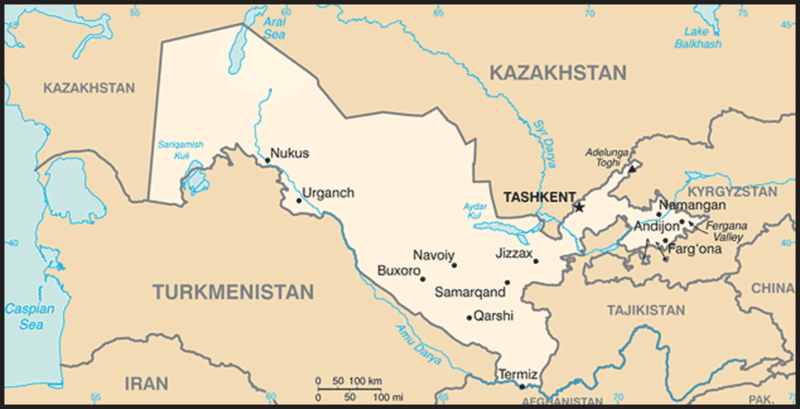 Major cities: Capital: Tashkent (pop. 2.5 million); Samarkand (600,000); Namangan (378,000); Bukhara (350,000). Terrain: Flat-to-rolling sandy desert with dunes; broad, flat, intensely irrigated river valleys along Amu Darya, Syr Darya; shrinking Aral Sea; semiarid grasslands surrounded by mountainous Tajikistan and Kyrgyzstan in east. Climate: Mid-latitude desert; long, hot summers, mild winters. Population (July 2011 est. ): 28.128 million. Ethnic groups (1996 est. ): Uzbek 80%, Russian 5.5%, Tajik 5%, Kazakh 3%, Karakalpak 2.5%, Tatar 1.5%, other 2.5%. Religions: Muslim 88% (mostly Sunni), Eastern Orthodox 9%, other 3%. Languages: Uzbek 74.3%, Russian 14.2%, Tajik 4.4%, other 7.1%. Education: Literacy: 99.3% (total population). Health (2011 est. ): Life expectancy: 69.48 years men; 75.71 years women. Work force (15.28 million): Agricultural and forestry — 28.2%; industry — 33.9%; services — 37.9%. (Source: World Development Indicators Database, April 2009). Branches: Executive: president, prime minister, cabinet. Legislative — bicameral Supreme Assembly or Oliy Majlis consists of an Upper House or Senate (100 seats; 84 members are elected by regional governing councils to serve 5-year terms and 16 are appointed by the president) and a Lower House or Legislative Chamber (150 seats; elected by popular vote to serve 5-year terms). Judiciary — Supreme Court, constitutional court, economic court. Administrative subdivisions (viloyatlar): 12, plus Republic of Karakalpakstan and city of Tashkent. Political parties and leaders: Adolat (Justice) Social Democratic Party — established February 18, 1995 in Tashkent, number of seats in the Legislative Chamber of the parliament 18, Ismail Saifnazarov, first secretary; Democratic National Rebirth Party (Milly Tiklanish Democratic Partiya) or MTP — established on June 3, 1995 in Tashkent, and merged with the National Democratic Party "Fidokorlar" ("Selfless men") on June 20, 2008, number of seats in the Legislative Chamber of the parliament 31, Ulugbek Muhammadiev, chairman; People's Democratic Party or PDPU (Uzbekiston Halq Democratic Partiya, formerly Communist Party) — established November 1, 1991 in Tashkent, number of seats in the Legislative Chamber of the parliament 32, Ulugbek Vafoev, first secretary; Liberal Democratic Party of Uzbekistan — established December 3, 2003, number of seats in the Legislative Chamber of the parliament 52, Muhammadyusuf Teshaboev, chairman; Ecological ("Green") Movement — established 2009 in Tashkent (15 seats, as reserved according to the constitution), Boriy Alixonov, chairman. Other political or pressure groups and leaders: Birlik (Unity) Movement — Abdurakhim PULATOV, chairman; Erk (Freedom) Democratic Party — Mohammad SOLIH, chairman (banned Dec. 1992); party of Agrarians and Entrepreneurs of Uzbekistan — Marat ZAHIDOV, chairman; Ozod Dehkon (Free Farmers) Party — Nigara KHIDOYATOVA, general secretary; Human Rights Society of Uzbekistan — Abdujalil Boymatov, chairman; Independent Human Rights Society of Uzbekistan — Ismoil ODILOV, chairman; Ezgulik — Vasilya INOYATOVA, chairwoman. Suffrage: Universal at age 18, unless imprisoned or certified as insane. Defense: Manpower fit for military service — males age 16-49 fit for military service: 6,566,118 (2010 est. ), females age 16-49 fit for military service: 6,745,818 (2010 est. ); 18 years of age for compulsory military service; 1-year conscript service obligation. GDP: 2011 real GDP growth was 8.3%, according to Government of Uzbekistan statistics. Actual GDP growth was likely lower; the International Monetary Fund (IMF) estimate is 7.1%. Inflation: The IMF estimated that consumer price inflation reached 13.1% in 2011, though actual inflation was likely higher, over 20%. Per capita GDP: Estimated per capita GDP in 2010 was $1,336; GDP per capita on a purchasing power parity basis was $3,012. Natural resources: Natural gas, petroleum, gold, coal, uranium, silver, copper, lead, zinc, tungsten, molybdenum. Natural gas production in 2010 was 60.1 billion cubic meters (bcm); oil production was 3.7 million tons. Agriculture: Products: cotton, fourth-largest producer worldwide; vegetables, fruits, grain, livestock. The agricultural production growth rate in 2011 was 6.6%. Industry: Types: textiles, food processing, machine building, metallurgy, natural gas, automobiles, chemical. The industrial production growth rate in 2011 was 6.3%; electricity production was 51 billion kilowatt hours. Budget (2012 projections): Revenues: $11.5 billion; expenditure and net lending — $12 billion. Trade: Exports (2009): largest contribution from energy products, cotton, gold, mineral fertilizers, ferrous and non-ferrous metals, food products, services, and automobiles. Imports (2009) — largest imports were machinery and equipment, foodstuffs, chemicals, ferrous and non-ferrous metals. Major trade partners (2010) — Russia 29.2%, China 9.5%, Kazakhstan 8.3%, South Korea 7.4%, Turkey 4.4%. External debt (total gross, 2011 est. ): $7.7 billion. Uzbekistan is Central Asia's most populous country. Its 28 million people, concentrated in the south and east of the country, are nearly half the region's total population. Uzbekistan had been one of the least developed republics of the Soviet Union; much of its population was engaged in cotton farming in small rural communities. The population continues to be heavily rural and dependent on farming for its livelihood. Uzbek is the predominant ethnic group. Other ethnic groups include Russian 5.5%, Tajik 5%, Kazakh 3%, Karakalpak 2.5%, and Tatar 1.5%. The nation is approximately 88% Sunni Muslim. Uzbek is the official state language; however, Russian is the de facto language for interethnic communication, including much day-to-day government and business use. The educational system has achieved 99% literacy, and the mean amount of schooling for men is 12 years and for women is 11 years. However, due to budget constraints and other transitional problems following the collapse of the Soviet Union, texts and other school supplies, teaching methods, curricula, and educational institutions are outdated and poorly kept. Although the government is concerned about this, budgets remain tight. Similarly, in health care, life expectancy is long, but after the breakup of the Soviet Union, health care resources have declined, reducing health care quality, accessibility, and efficiency. Uzbekistan continues to enjoy a highly educated and skilled labor force. Located in the heart of Central Asia between the Amu Darya and Syr Darya Rivers, Uzbekistan has a long and interesting heritage. The leading cities of the famous Silk Road — Samarkand, Bukhara, and Khiva — are located in Uzbekistan, and many well-known conquerors passed through the land. Alexander the Great stopped near Samarkand on his way to India in 327 B.C. and married Roxanna, daughter of a local chieftain. Conquered by Muslim Arabs in the 8th century A.D., the indigenous Samanid dynasty established an empire in the 9th century. Genghis Khan and his Mongols overran its territory in 1220. In the 1300s, Timur, known in the west as Tamerlane, built an empire with its capital at Samarkand. Uzbekistan's most noted tourist sites date from the Timurid dynasty. Later, separate Muslim city-states emerged with strong ties to Persia. In 1865, Russia occupied Tashkent and by the end of the 19th century, Russia had conquered all of Central Asia. In 1876, the Russians dissolved the Khanate of Kokand, while allowing the Khanates of Khiva and Bukhara to remain as direct protectorates. Russia placed the rest of Central Asia under colonial administration, and invested in the development of Central Asia's infrastructure, promoting cotton growing and encouraging settlement by Russian colonists. In 1924, following the establishment of Soviet power, the Soviet Socialist Republic of Uzbekistan was founded from the territories including the Khanates of Bukhara and Khiva and portions of the Ferghana Valley that had constituted the Khanate of Kokand. During the Soviet era, Moscow used Uzbekistan for its tremendous cotton growing and natural resource potential. The extensive and inefficient irrigation used to support the former has been the main cause of shrinkage of the Aral Sea to less than a third of its original volume, making this one of the world's worst environmental disasters. Uzbekistan declared independence on September 1, 1991. The constitution of Uzbekistan provides for separation of powers, freedom of speech, and representative government. In reality, the executive holds almost all power. The judiciary lacks independence, and the legislature — which holds a few sessions each year — has limited power to shape laws. The president selects and replaces provincial governors. Islam Karimov, former First Secretary of the Central Committee of the Uzbek SSR Communist Party, was elected to a 5-year presidential term in December 1991 with 88% of the vote and was re-elected in January 2000 with 91.9% of the vote. After the parliament extended the presidential term to 7 years, President Karimov was re-elected in December 2007 with 88.1% of the vote. In December 2011, the Oliy Majlis (parliament) adopted amendments to the constitution which again reduced the presidential term to 5 years. 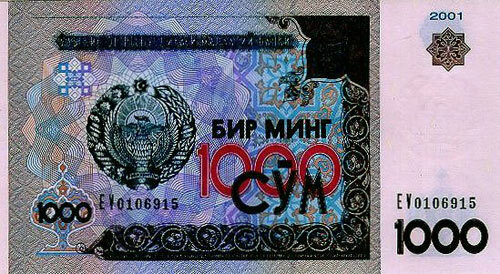 However, this will not affect President Karimov's current term, which is set to finish in 2014. Parliamentary elections last took place in December 2009. While Organization for Security and Cooperation in Europe (OSCE) observers reported noticeable procedural improvements in comparison to the 2004 parliamentary elections, the OSCE did not deem the 2009 elections free and fair due to government restrictions on eligible candidates and total government control of media and campaign financing. Uzbekistan has no meaningful political opposition within the country. Since 1991, virtually all prominent opponents of the government have fled or have been arrested. Five pro-government political parties hold all seats in the parliament, and independent political parties have been effectively suppressed since the early 1990s. Pro-government media outlets (radio, TV, newspaper) dominate the media landscape and control all local reporting on political events. In the past, editors and journalists who have broached politically sensitive topics have experienced repercussions, including criminal libel charges and loss of employment, but this happens rarely today as self-censorship is the norm. The government blocks access to websites of opposition parties based outside of the country, independent media, and others critical of official government policy. Following a 2010 speech by President Karimov on expanding the role of civil society, the Senate was granted some authority over domestic policy and some civil society actors were given more room to operate, particularly in education and women's issues. The government also embarked on a campaign to draft new legislation that would, if enacted and adhered to, improve the operational environment for civil society. However, the government still controls most civil society activity. In the late 1990s, Uzbekistan began battling a low-intensity insurgency. Early in the following decade, the Islamic Movement of Uzbekistan (IMU) launched a number of small, cross-border raids. The IMU in summer 2001 allied itself with the Taliban government in Afghanistan, where most IMU fighters were then based, and subsequently engaged U.S. forces in Afghanistan. Since the fall of the Taliban government in 2001, the IMU appears to have become less active in Uzbekistan. However, terrorist bombings blamed on the IMU and splinter groups have occurred sporadically, including multiple, simultaneous 1999 attacks in Tashkent that destroyed a portion of the Ministry of Interior headquarters and narrowly missed President Karimov, and 2004 suicide bombings of the U.S. and Israeli Embassies in Tashkent. In May 2009, a suicide bombing in the city of Andijon and an assault on a border post near the town of Khanabad on the Uzbek-Kyrgyz border led the Government of Uzbekistan to temporarily increase its border security with Kyrgyzstan and in several towns in the Ferghana Valley. In May 2005, gunmen in the city of Andijon attacked a police station, seized weapons and then stormed a prison, freeing members of a local Islamic organization accused by the government of extremism. In events whose details remain controversial, the attackers then gathered in Andijon's main square. Thousands of local residents also gathered in the square. Shooting erupted between government forces and the insurgents, and a large but undetermined number of individuals were killed. The Government of Uzbekistan, which put the death toll at 187, rejected European and U.S. calls for an independent international investigation. Unofficial death toll estimates range as high as 700 to 800. The government has not held anyone publicly accountable for the civilian casualties. In mid-June 2010, up to 100,000 ethnic Uzbek refugees fled from Kyrgyzstan to Uzbekistan following ethnic clashes in southern Kyrgyzstan. The Government of Uzbekistan worked closely with international organizations to provide food and shelter to the refugees until they returned to Kyrgyzstan in late June. The U.S. Government's most important human rights concerns vis-a-vis Uzbekistan are instances of torture and mistreatment of detainees by security forces; denial of due process and fair trial; and restrictions on religious freedom including harassment and imprisonment of religious minority group members. In May 2003, following the visit of the UN Special Rapporteur on Torture, the Government of Uzbekistan drafted an action plan to implement the Rapporteur's recommendations. The government has since restarted cooperation with international organizations involved in prison monitoring, such as the International Red Cross. However, prison conditions and the prevalence of torture are widely believed to remain problematic. The police force and the intelligence service have used torture as a routine investigation technique. Strict laws against religious extremism are applied liberally, limiting free practice of religion for all religious groups. The government severely represses those it suspects of Islamic extremism, including those suspected of any affiliation to organizations such as the banned extremist Party of Islamic Liberation (Hizb ut-Tahrir) or the more moderate Nurchilar (followers of Said Nursi of Turkey). Thousands of suspected extremists have been incarcerated since 1992. The exact number remaining in custody is unknown but may be several thousand. Political prisoners and suspected extremists are allegedly treated worse than ordinary prisoners. A large number of prisoners have reportedly died in custody, many from disease and other poor conditions and others from mistreatment and abuse. Domestic forced labor remains prevalent during the annual cotton harvest, when many school-age children, college students, and adults are mobilized to pick cotton. There have been some recent improvements in the use of child labor, as the government has restricted the use of young children in the fields. The government has made significant progress in recent years addressing trafficking in persons, including those trafficked for sexual exploitation and labor migrants. Uzbekistan abolished the death penalty in January 2008. It became a signatory to the UN Convention on the Rights of Persons with Disabilities in February 2009, but has yet to ratify the document. The Republic of Uzbekistan maintains an embassy (http://www.uzbekistan.org/) at 1746 Massachusetts Ave., NW, Washington, DC 20036. Tel. : (202) 887-5300; fax (202) 293-6804. Its consulate and mission to the UN in New York are located at 801 Second Ave., 20th Floor, New York, NY 10017. Consulate tel. : (212) 754-7403; fax: (212) 486-7998. The economy is based primarily on agriculture and natural resource extraction. Uzbekistan is a major producer and exporter of cotton, but natural gas has replaced it as the dominant source of foreign currency earnings. It also is a major exporter of gold, uranium, and strategic minerals. (Uranium is Uzbekistan's largest export to the U.S.) Manufacturing has become increasingly important, particularly in the automotive sector, which is aimed primarily at export to the Russian market. Since independence, the government has followed a policy of gradual transition to a free market economy but most large enterprises are still state owned or controlled. It is difficult to accurately estimate economic growth in Uzbekistan due to unreliable government statistics. Economic growth has been strong in the past few years, but wealth is strictly held by the elite. According to the CIA World Factbook, approximately 26% of Uzbeks live below the poverty line. The government implements a strict import substitution policy to control foreign trade and prevent capital outflow. 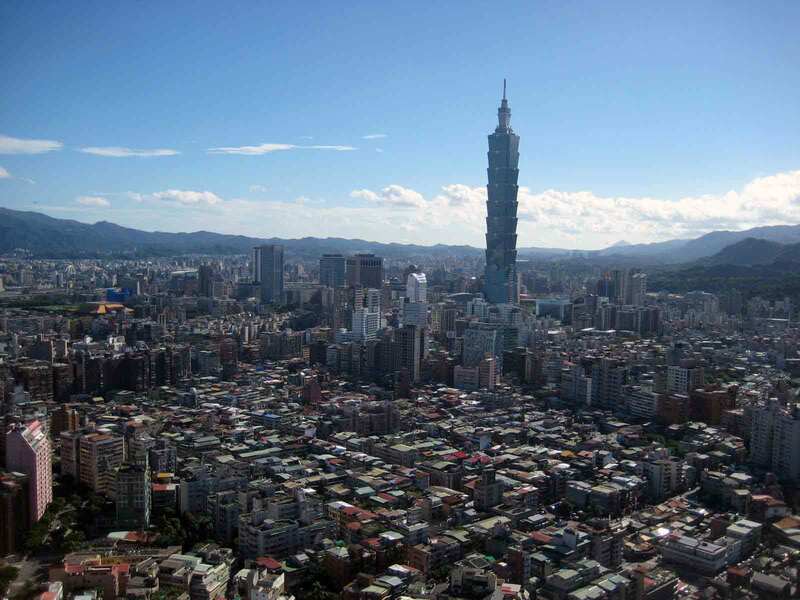 Substantial structural reform is needed, particularly in the area of improving the investment climate for foreign investors and liberalizing the agricultural sector. Although the government has committed itself in theory to the provisions of the International Monetary Fund's (IMF) Article VIII regarding currency convertibility for current account operations, in practice firms can wait months or even years for currency conversion. Convertibility restrictions, difficulty withdrawing local currency from bank accounts, and other government measures to control economic activity, (e.g., import and export restrictions, and intermittent border closings) have constrained economic growth and led international lending organizations to suspend or scale back credits. The International Monetary Fund estimated 2011 GDP growth at 7.1%. Unemployment and underemployment are very high, but reliable figures are difficult to obtain, as no recent credible surveying has been done. Unofficially, unemployment is estimated around 8% and underemployment around 25%. Underemployment in the agricultural sector is particularly high — which is important given the fact that 62% of the population is rural-based. Many observers believe that employment growth and real wage growth have been stagnant, given virtually no growth in output. Literacy in Uzbekistan is almost universal, and workers are generally well-educated and well-trained. Worsening corruption in the country's education system in the past few years eroded Uzbekistan's advantage in terms of its human capital, as grades and degrees are routinely purchased. Additionally, elementary and secondary students in the remote provinces have poor access to basic education. Most local technical and managerial training does not meet international business standards, but foreign companies engaged in production report that locally hired workers learn quickly and work effectively. Uzbekistan subsidizes studies for students at Westminster University — one of a few Western-style educational institutions in Uzbekistan. The government has implemented salary caps in an attempt to prevent firms from circumventing restrictions on the withdrawal of cash from banks. Some firms had tried in the past to evade these limits on withdrawals by inflating salaries of employees, allowing firms to withdraw more money. These salary caps prevent many foreign firms from paying their workers as much as they would like. Labor market regulations in Uzbekistan are similar to those once used in the Soviet Union, with all rights guaranteed but some rights unobserved. Unemployment and underemployment are persistent problems, and a significant number of people continue to look for jobs in Russia, Kazakhstan, the Middle East, and Southeast Asia. Business analysts estimate that a high number of Uzbek citizens are working abroad. Estimates range from lows of 3 million to highs of 5 million Uzbek citizens of working age living outside Uzbekistan. Uzbekistan signed a labor agreement with Russia in 2007 to facilitate the temporary migration of Uzbek workers and the taxation of their income. Macroeconomic performance has been strong over the last 3 years and resulted in a positive trade balance. Real GDP growth was high, and official reserves continued to rise. Inflation was estimated at 13.1% in 2011. In order to combat inflation, the government has exercised strict currency controls, causing periodic shortages of cash. Reacting to the weakening of the dollar to the Euro, the government in recent years switched to the Euro for its accounting and financial management, with the hospitality sector following suit. Gross official reserves in 2010 were estimated at $13.5 billion. In 2007, the World Bank and the UN Development Program (UNDP) provided technical assistance to reform the Central Bank and Ministry of Finance into institutions that conduct market-oriented fiscal and monetary policy. But official economic data on Uzbekistan is still often unreliable and not always available. Bank reform is very slow and inhibits the ability of citizens or private companies to obtain credit and other banking services. Agriculture and the agro-industrial sector contribute about 17% to Uzbekistan's GDP. Cotton is Uzbekistan's dominant crop, accounting for roughly 11% of the country's GDP in 2009. Uzbekistan also produces significant amounts of silk, wheat, fruit, and vegetables. Nearly all agriculture involves heavy irrigation. In 2008, the President signed a decree on enlargement of private farms, which has led to the redistribution of small farmers' land in favor of large farms. Farmers and agricultural workers earn low wages, which the state seldom pays on a regular basis. In general, the government controls the agriculture sector, dictates what farms grow, and sets prices for commodities like cotton and wheat. Most farms grow wheat and cotton to meet the state order, and farmers can face losing their leased land if they do not meet state quotas. Natural resources, minerals, and mining are integral to Uzbekistan's economy. Natural gas is Uzbekistan's most important foreign exchange earner, estimated at around 24% (2010). Gold is another important source of foreign earnings (about 7%-10% of total exports). Uzbekistan is the world's seventh-largest producer of gold, mining about 80 tons per year, and holds the fourth-largest reserves in the world. It produces oil for domestic consumption and has significant reserves of copper, lead, zinc, tungsten, and uranium. Uzbekistan's export/import policy is based on import substitution. The highly regulated trade regime has led to both import and export declines since 1996, although imports have declined more than exports, as the government squeezed imports to maintain hard currency reserves. Draconian tariffs and sporadic border closures and crossing "fees" decrease legal imports of both consumer products and capital equipment. 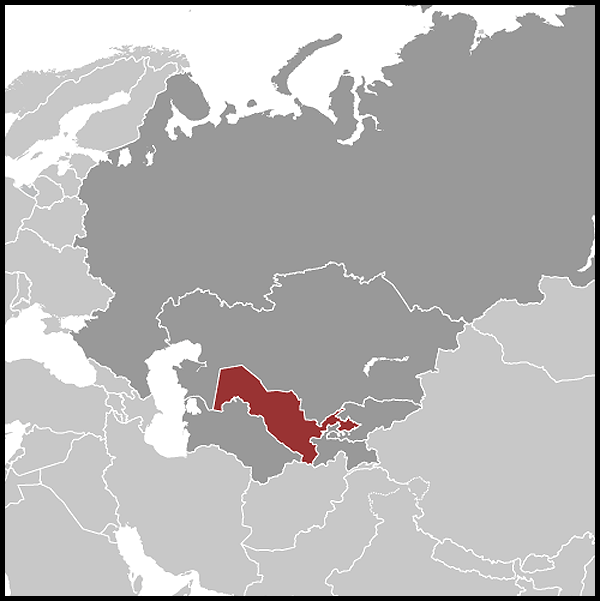 Uzbekistan's traditional trade partners are from the Commonwealth of Independent States (CIS), notably Russia, Ukraine, and Kazakhstan. Non-CIS partners have been increasing in importance in recent years, with the European Union, China, South Korea, Germany, Japan, and Turkey being the most active. Uzbekistan is a member of the IMF, the World Bank, the Asian Development Bank, the Islamic Development Bank, and the European Bank for Reconstruction and Development. It has observer status at the World Trade Organization (WTO) and has publicly stated its intention to accede to the WTO. It is a member of the World Intellectual Property Organization and is a signatory to the Convention on Settlement of Investment Disputes between States and Nationals of Other States, the Paris Convention on Industrial Property, the Madrid Agreement on Trademarks Protection, and the Patent Cooperation Treaty. In 2008, Uzbekistan was again placed on the special "301" Watch List for lack of intellectual copyright protection. Since Uzbekistan's independence, U.S. firms have invested roughly U.S. $500 million in Uzbekistan. In 2007 GM-DAT, a Korean subsidiary of GM, entered Uzbekistan when it signed a joint venture agreement with UzDaewoo to assemble Korean-manufactured cars for export and domestic sale, including Chevrolets. This plant in Asaka now produces many lines of cars under the Chevrolet nameplate for export to Russia as well as the domestic market. In 2011, General Motors opened a plant just outside Tashkent to begin producing powertrain engines. Boeing also has a longstanding relationship with the national airline of Uzbekistan, Uzbekistan Airways. Coca Cola, Baker Hughes, Nukem, Hewlett Packard, and other U.S. companies conduct small-scale operations in Uzbekistan as well. Nonetheless, some foreign investors are departing Uzbekistan because of declining investor confidence, harassment, and currency convertibility problems. Uzbekistan possesses the largest military forces in the Central Asian region, having around 65,000 people in uniform. Its structure is inherited from the Soviet armed forces, although it is moving rapidly toward a fully restructured organization, which will eventually be built around light and Special Forces. The Uzbek Armed Forces' equipment is not modern, and training, while improving, is neither uniform nor adequate yet for its new mission of territorial security. The government has accepted the arms control obligations of the former Soviet Union, acceded to the Nuclear Non-Proliferation Treaty (as a non-nuclear state), and has supported an active program by the U.S. Defense Threat Reduction Agency (DTRA) to demilitarize and clean up former weapons of mass destruction-related facilities in western Uzbekistan (Nukus and Vozrozhdeniye Island), as well as to guard against the proliferation of radiological materials across its borders. The Government of Uzbekistan spends about 2% of GDP on the military (2005 est.). Beginning in the late 1990s and through 2004, the government received U.S. Foreign Military Financing (FMF), International Military Education and Training (IMET), and other security assistance funds. Beginning in 2004, new FMF and IMET assistance to Uzbekistan was stopped, as the Secretary of State, implementing U.S. Government legislation, was unable to certify that the Government of Uzbekistan was making progress in meeting its commitments, including respect for human rights and economic reform, under the U.S.-Uzbekistan Strategic Framework Agreement. Uzbekistan approved U.S. Central Command's request for access to a vital military air base in southern Uzbekistan following the September 11, 2001 terrorist attacks in the U.S. The last U.S. forces departed this facility in 2005. The FY 2012 budget included language that would allow the Secretary to waive current restrictions on granting U.S. military assistance to the Government of Uzbekistan. Secretary of State Hillary Clinton signed the waiver in early 2012. This would open Uzbekistan to receiving FMF and IMET as well as other grant assistance in 2012. The waiver must be evaluated and renewed every 6 months. While Uzbekistan is a member of several regional organizations, it prefers to address issues bilaterally rather than in multilateral forums. The country's relations with its neighbors, especially Tajikistan, are strained. Short skirmishes between border guards and closures of border crossings for security and political reasons are common. Uzbekistan has participated in efforts in the region to combat terrorism and the narcotics trade. Uzbekistan is a member of the Shanghai Cooperation Organization (SCO), the Collective Security Treaty Organization (CSTO), the Commonwealth of Independent States (CIS), the United Nations, the Euro-Atlantic Partnership Council, NATO Partnership for Peace, the Organization for Security and Cooperation in Europe (OSCE), the Organization of Islamic Cooperation (OIC), the Central Asia Regional Economic Cooperation (CAREC) Program, and the Economic Cooperation Organization — comprised of the five Central Asian countries, Azerbaijan, Turkey, Iran, Afghanistan, and Pakistan. In 1999, Uzbekistan joined the GUAM alliance (Georgia, Ukraine, Azerbaijan, and Moldova), which was formed in 1997 (making it GUUAM), but formally withdrew in 2005. Uzbekistan hosts the SCO's Regional Anti-Terrorist Structure (RATS) in Tashkent. In 2006, Uzbekistan joined the Eurasian Economic Community (EurASEC), comprising Belarus, Kazakhstan, Kyrgyzstan, Russia, Tajikistan, and Uzbekistan, but subsequently withdrew in 2008. Uzbekistan is a member of the Central Asia Regional Information and Coordination Center (CARRIC), which is a regional counternarcotics information clearinghouse located in Almaty, Kazakhstan that will coordinate regional investigative leads on counternarcotics cases under the Central Asia Counternarcotics Initiative. Uzbekistan participated in the CIS peacekeeping force in Tajikistan and in UN-organized groups to help resolve the Tajik and Afghan conflicts, both of which it viewed as posing threats to its own stability. Uzbekistan is a supporter of U.S. efforts against worldwide terrorism and joined the coalition combating terrorism in Afghanistan. It continues to support coalition anti-terrorist operations in Afghanistan by allowing shipment of non-lethal goods by rail as part of the Northern Distribution Network (NDN) to Afghanistan and by granting access to Germany to an air base in southern Uzbekistan. The U.S. recognized the independence of Uzbekistan on December 25, 1991, and opened an Embassy in Tashkent in March 1992. February 2012 will mark 20 years of diplomatic relations between the United States and Uzbekistan. U.S. policy since that time has been to support Uzbekistan's development as an independent, sovereign country with democratic institutions rooted in the rule of law. The U.S. and Uzbekistan cooperated closely following the September 11, 2001 terrorist attacks and the start of the war in Afghanistan. However, relations cooled following U.S. and European demands for an independent, international investigation into the May 2005 Andijon violence and as the Government of Uzbekistan sought to limit the influence of U.S. and other foreign non-governmental organizations (NGOs) working on civil society, political reform, and human rights inside the country. Since mid-2007, the United States and Uzbekistan have begun to rebuild cooperation on issues of mutual concern, including security and economic relations, as well as political and civil society issues. In 2011, several high-level visits further strengthened relations, including Secretary Clinton's October visit. Uzbekistan has Central Asia's largest population and is important to U.S. interests in ensuring stability and security in the region. The U.S. Embassy (http://uzbekistan.usembassy.gov/) in Tashkent is located at 3 Moyqo'rq'on, 5th Block, Yunusobod District, Tashkent 700093; tel. (71) 120-5450; fax:  (71) 120-6335; duty officer (cellular):  (90) 108-6911.